TL;DR – Castle Crashers Remastered we-love-you-forever discount has started! Hello Everyone in Behemoth-ville! Things have been crazy since we returned from PAX and launched Castle Crashers Remastered (CCR) on Xbox One. 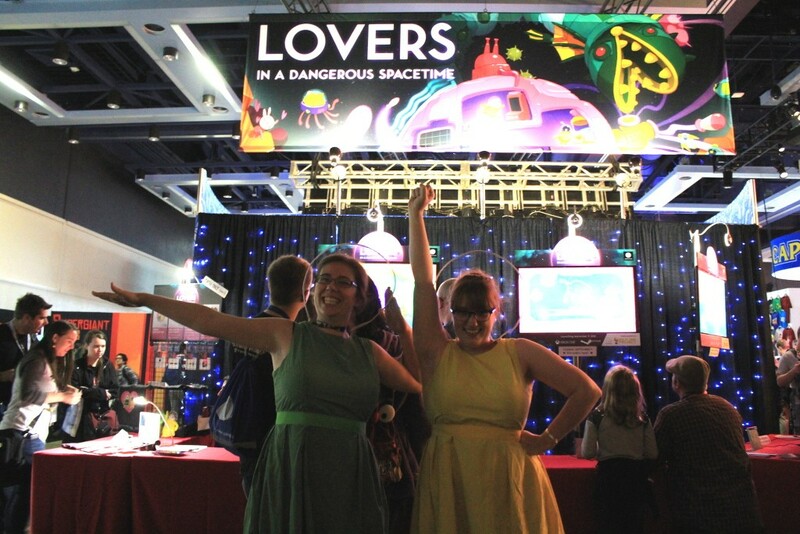 Launch day was International Couch Co-op Day, celebrated by us, Lovers in a Dangerous Spacetime, and Clusterpuck! If you haven’t picked up a copy of those games yet, go do it because they are super fun. Super fun with friends!!! See! These friends are having tons of fun! What else is super fun? Well, our very own CCR, that’s what! With its super behemoth-sized textures that are verifiably as big as Texas* and the silky smooth legs of 60 FPS, it is exactly what the doctor ordered for the Xbox One. And do you know what is super-funner**? That’s right, a we-love-you-forever discount if you bought Castle Crashers for the Xbox 360 back in the day…(or last month, doesn’t matter)…of only $5.00!!! (or maybe it is $4.99, I forget when I get excited) So remember, after today, if you owned Castle Crashers on Xbox 360 you should get the title for about five bucks when you download CCR for your Xbox One system. If you’ve never owned Castle Crashers then man human up and get over to the Game Store on Xbox One and download your discounted copy today. Oops, here comes some small print that is actually the same point size! On Xbox One and Xbox 360, Xbox Live Gold membership (sold separately) is required. 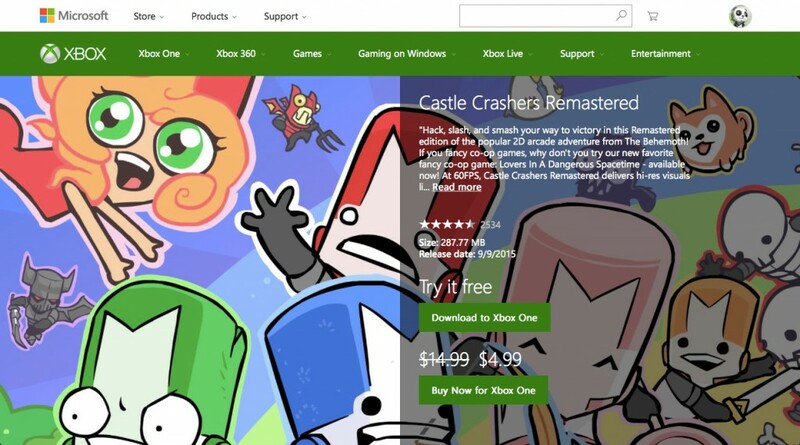 Be sure that you are accessing Castle Crashers Remastered in the Game Store on Xbox One using on the same Xbox Live Gold account that owns Castle Crashers on Xbox 360. Promotion only valid in countries where Castle Crashers Remastered is available***. Thank you and goodnight. ** yeah, the discount is fun while the game is downloading, but “Back Off Barbarian”, our new multiplayer minigame in CCR is verifiably fun forever!